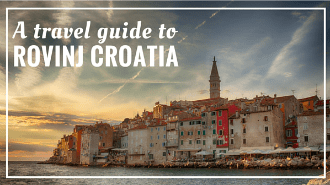 In our accommodation Croatia guide, we attempt to give you a good overview of various types of accommodation you can find in Croatia, and to help you find a right accommodation for you. You’ll find a wide variety of accommodation Croatia: from 5star luxury hotels, wonderful apartment rentals, to secluded villas, and seaside campsites. We’ve been working in a Croatian hotel industry for over ten years, and we know it inside out. Having our own villa to rent in Istria, and our family’s apartments to rent in Komarna, we know first-hand what visitors can expect when renting an apartment in Croatia. If I have to define Croatia based on accommodation Croatia offer, I would say it’s a 4* family destination. However, different towns have a different feel when it comes to accommodation: Dubrovnik, Zagreb and Rovinj offer many 5star hotels; Split lacks large hotels, but has instead many cool apartments to rent, and hostels; Porec is full of 3star and 4star family-friendly hotels and campsites; etc. In general, there is a little something for everybody’s taste and style. All Croatia accommodation, regardless of a type, should be licensed in order to be legal for short-term rental. This means that owner who intends to rent his or her hotel, private apartment, campsite, or a villa needs to follow set of rules and regulations in order to obtain an official license for short-term rental. Once approved, each property receives an official tourist category, expressed through the number of stars (2* to 5*). This ensures that a property meets the minimum requirements imposed by the Ministry of tourism, but also that the owners pay tax. Without getting too much into technicalities, I would just like to ensure you that rental requirements in Croatia are strict. You will generally get much more comfort in, let’s say, Croatian 3star property than in Italian or French 3star property. Tip: All legal rental properties must show in a prominent place a dark blue plate with a type of property and a number of stars received. Another curiosity in Croatia: each and every guest when staying in Croatia needs to be registered with a local tourist office within 12 hours from entering Croatia. A property owner needs to pay a tourist tax for every guest above 12 years of age. The amount of a tourist tax varies according to a destination and a season. But generally, it’s in the range of 5 to 10 kn per day per person over 12 years of age. You’ll find hotels in Croatia just about anywhere. They range from 2star to 5star. Hotels in Croatia usually offer a complimentary breakfast, and many hotels along the coast often offer a complimentary dinner. In Croatia you will notice somewhat weak presence of international hotel brands (although they are present to certain degree). Some of the largest Croatian hotel companies are Valamar, Plava Laguna, and Maistra. All three companies are based in Istria but have hotels in various destinations in Croatia. You’ll also often find in Croatia that one or two hotel companies runs majority of hotels and resorts within one destination. For example, in Porec majority of hotels are own and run either by Valamar Hotels & Resorts, or Plava Laguna; in Rovinj the main hotel company – Maistra owns and runs 6 hotels in town, in Dubrovnik four hotel chains: ALH, Valamar, Maestral and Importanne Resort own and manage over 70% of all hotel rooms in Dubrovnik. International hotel brands found in Croatia include: Sheraton hotels in Dubrovnik and Zagreb, Hilton in Dubrovnik, Double Tree and Canopy in Zagreb, Kempinski in Savudrija, LHW in Rovinj, and Dubrovnik, Westin in Zagreb, Le Meridien and Radisson Blu in Split, Park Plaza in Pula, Best Western in Zagreb, Sol Melia in Umag, and Rixos in Dubrovnik. The most popular booking site in Croatia is the Booking.com. It’s worth checking hotel’s own website for deals. While Booking.com is widely used, and keeps a rate parity with hotels own sales channel, you can often find a better deal if booking directly with a hotel. They sometimes offer an added value, like a complementary transfer, a dinner or a massage, or they offer an economy room type you won’t usually find on agency’s site (economy room is often a standard room sold for less). Hotels in Croatia usually accept all credit cards, although some don’t take American Express. While majority of hotels in Croatia won’t charge you in advance, you’ll need to leave your credit card data to guarantee your booking. The most common cancellation policy is 48 hours before the arrival (pretty flexible, you must admit!). All-inclusive resorts in Croatia aren’t your typical all-inclusive resorts, the ones you are used to stay in the Caribbean, Turkey, or North Africa. First, they are few and far between. Second, they are usually within town, or within a walking distance from the town. Then, they aren’t really completely closed, guarded and cut out from the outside world. Many all-inclusive resorts in Croatia use light formula, meaning that you still need to pay for certain services. For example, some alcoholic drinks are included, but you’ll pay extra for branded drinks; or drinks might be only included during the meals, but not throughout day. Cost-control. When staying in all-inclusive resort you easier control cost of your holidays. Room, three meals a day, selection of drinks, activities, everything is included in the price. So, no hidden costs! Kids stay for free. In majority of all-inclusive resorts, you’ll find rooms or suites for families, with kids until certain age (usually up to 12, 14 or even 16) staying for free when sharing room with two adults. OK, to be completely transparent, this is never completely free, but the price of room is calculated on certain occupancy, e.g. room that takes 2 adults and 2 children up to 14 years of age is calculated on occupancy of 3; meaning that this room is 50% more expensive than double room, but it’s also 25% cheaper than two double rooms. At the end each kids pay only 50% of the price of adult. It’s convenient. Food, drinks, entertainment, pools, beach, it’s all there, and you don’t need to think about anything. Food in Croatia is great, especially in Istria. And having three meals a day in your resort won’t make you feel go outside and try some of the best restaurants in Croatia. So, in a way, you’ll miss on some important aspects of the country, and for sure some great food. As long as you don’t fancy a good quality wine, craft beer, or your favorite spirit, drinks are free. But if you like branded drinks, you’ll need to pay extra. Three meals a day, believe it or not, can be tiring. You might end up eating more than you need, and consequently gain some weight. Like hotels, the best place to book all-inclusive resort is Booking.com website. Croatian all-inclusive resorts often have early booking offers until end of February, or mid-March. Book early to secure the best price. Some all-inclusive resorts, like Valamar Girandella Maro Suites, or TUI Family Life Bellevue, only offer rooms on their own website, and not through online travel agencies like Expedia, or Booking. As you head down the coast, you’ll get a feeling that everybody in Croatia has an apartment to rent. And you know what – they do! This is a way that many Croatians (us included!) make a living or earn an extra revenue. Jobs are scarce in Croatia, salaries are small, and costs of living are high. This is the reason why so many people turn their homes into rental units. Holiday apartments in Croatiawould be my choice of accommodation in Croatia. You often get a chance to meet people and learn a little bit more about country you are visiting. If you plan on visiting Dalmatia, check our family’s apartments in Komarna; and if you plan to visit Istria, consider staying at villa to rent in Porec. Do your research before booking an apartment. Check photos and read traveler’s reviews. In Croatia, the most popular sites for apartment rentals are Booking.com, Homeaway, and AirBnB. Each of them offers traveler’s reviews. Try to contact a property owner directly. You can often make a better deal this way. However, with intermediary you are often better covered if things go bad. Most of apartment rentals in Croatia are cash-only. You can pay either in Kuna (a local currency) or Euro. To book holiday lettings in Croatia, you’ll usually be asked for a small deposit (normally 20-30%) at the moment of booking. The rest is usually paid on arrival. You can avoid this if you book through sites like Booking.com. During a main season (July-August) many apartments keep strict arrival and departure days (usually Saturday) and they insist on a length of stay of at least 7 days. However, this has been rapidly changing in the last years. Short stays are usually 30% more expensive than longer stays (stays of 7 and more days). Villas in Croatia are in many ways similar to apartment rentals. And just like apartment rentals in Croatia, villa rentals in Croatia are growing in popularity. Instead of renting one unit in a house or an apartment building, you can rent an entire villa. Villas are fully furnished, often located in a rural setting, and come with great facilities like a swimming pool, and an outdoor kitchen. If you have money to spare, you can also hire staff during your stay at one of villas in Croatia. Villas to rent are especially popular in Istria. Some companies specialize in villa rentals, like MyIstria.com, or LuxuryCroatianVillas.com. You can also try to reach directly to property owners. Renting entire villa ensures you a full privacy. Many villas are in a quite rural setting. Although a daily rent can seem high at first, if you are a large party (couple of families, a group of friends) and you want to split a cost, this can be a great and a very affordable accommodation in Croatia for you. Having your own swimming pool is always an advantage. You’ll need a car as most of villas to rent in Croatia are located away from the town center. Rent is high. It can especially get expensive if you are a small party. Villas book quickly; so, if this is your kind of accommodation, you need to act quickly, especially if planning a visit in the high season. Majority of villas in Croatia have very strict booking conditions. You’ll need to book a block of 7, 14, or 21 days, often with strict days of arrival and departure (usually Saturday). Bear this in mind when searching for a perfect villa for you on booking sites. Camping is another type of accommodation Croatia that I enjoy. Vera and I love camping, and even contemplate getting a permanent place in one of the campsites in Istria. We are also fully-equipped to go camping, with our own tent, and all the rest, but lately we prefer renting a mobile home. For a short weekend break it’s just more convenient that way. Last we’ve visited Amber Sea Luxury Village, awesome seafront and car-free mobile homes village within the campsite Mareda; and Marbello Premium Village, beautiful seaside mobile homes in camping Lanterna. With various facilities, like large swimming pools, sport facilities, and children playgrounds, and various choice of accommodation, including detached mobile homes with their own hot tubs, or shared pools, campsites in Croatia are more luxurious holiday parks than your typical back-to-nature basic campsites. Camping in Croatia offers a variety of accommodation options: you can pitch your own tent, or park your RV, but if you have no time or prefer a bit more comfort and privacy, you can rent different types of mobile homes, or glamping tents. Campsites can be cheap, especially if you camp in a tent. Campsites are great for family vacation with small children. If your kids are early at sleep, you can still enjoy it outdoor, and not be forced to stay in your hotel room. Lots of organized activities on-site. You’ll need to use shared toilet facilities. Some campsites are way too big, like Lanterna in Porec, that can accommodate up to 10.000 people. In a high season this means lots of queues. People who sleep light can find it difficult to get a full night sleep at campsites. Prices can be confusing. All prices are shown separately and need to be added to get a total price for your stay (pitch, adult, kid, electricity, etc.). A price for pitch usually includes all utilities available at the pitch (electricity, water, drainage) and one tent or RV or a trailer. While many people still don’t book their campsite spot in advance, we highly recommend you do so. The best places sell out quickly, and as a walk-in guest, you are usually left with places that nobody wanted in a first place (unless you get lucky). Curfew is usually at midnight. We strongly encourage you to stay at designated camping areas when camping in Croatia. While you can sleep in your RV on parking lots, and wild beaches at your own risk, this is strictly prohibited. Many campsites in Croatia are by the sea. It’s worth paying more for a seafront pitch. Hostels in Croatia are booming in the last years. And they look much better than back in 90s when I was crashing into hostels around Europe. Hostels range from dorm style ones to hip and cool hostels often even more comfortable than many hotels. Bigger towns like Zagreb, Split, or Dubrovnik have a better choice of hostels than small coastal towns like Porec, Rovinj, or Orebic. Hostels are a great choice for those on tight budget, and for those travelling solo who like to meet fellow travelers. If you don’t fancy sharing a room and a bathroom with fellow travelers, many hostels, beside dorm-style rooms, offer also private rooms equipped with their own bathroom. High season sees many hostels selling fast, so we advise you to book your stay in advance. The same goes for the popular hostels, like Swanky Mint in Zagreb. The rule of a thumb is the more popular the place is, the sooner it sells. Popular booking site for hostels is HostelWorld, but you can also book hostels in Croatia through Booking.com. We could have put lighthouses under holiday rentals in Croatia section, but we believe that this unique accommodation choice in Croatia deserves a category of its own. With over 6.000 km of coastline, you bet there are many lighthouses in Croatia. However, only handful of them are available for short-term rental. Some are located on the mainland and are easily accessible like lighthouse Marlera near Pula, while others are more secluded and remote, like Plocica lighthouse located between islands of Hvar, Brac and Peljesac peninsula. Some lighthouses in Croatia consist of few apartments, while others are arranged as a single house. Also, some are run by state-owned travel agency, and a bit difficult to rent (no instant online booking), and some are privately owned. Booking.com: This is by far, the most popular booking site for accommodation Croatia. Booking.com is the only website that offers all types of Croatia accommodation to book through their website. Cancellation and payment policies vary, depending on type of accommodation. Airbnb: The place to go if you plan on booking an apartment or villa in Croatia. AirBnb’s commission is much lower than Booking.com, so many owners prefer listing their property with AirBnb. You’ll need to create an account to use AirBbn. It’s free. And if you create it using this link, we’ll give you 24€ credit for your future travels. Homeaway: Homeaway lists private accommodation in Croatia (and elsewhere) that is available for instant booking or request to book. MyIstria.com: This local online travel agency based in Istria, offers a great choice of villas in Croatia. 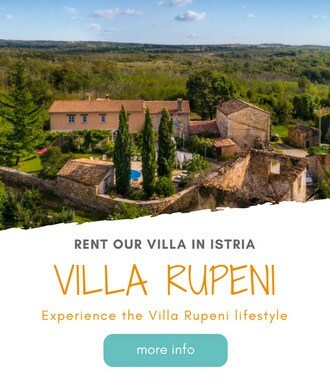 When they just started their business, they were only renting villas in Istria (thus the name! ), but today you can find on their website a variety of villas to rent throughout Croatia. Expedia: Expedia has a good presence in Croatia, and while it does offer vacation rentals in Croatia, it’s more used for booking hotels in Croatia. Expedia can be a good choice for those who look for combo offer: flight + hotel. Tour operators’ websites: Many hotels in Croatia are distributed through a wide network of traditional tour operators and brick-and-mortar agencies, like TUI UK (ex. Thomson), or Jet2Holidays. Those travelling from UK can often find better deals through these companies. Property’s own website: Many Croatia accommodation have their own websites, particularly hotels. It's always worth checking out the offer on their website, and contacting property directly to check if they offer any direct deals. Some of these links are affiliate. I’m looking for a small hotel (no chains) for my husband and two kids in Dubrovnik and Brac. Do you have any tips? I love your articles. My boyfriend’s family is from Croatia and I’m obsessed. His mum now wants us all to rent accommodation together for 3-4 weeks. We definitely want to travel around though. I see the point of a home base, but is it better to try to vary accommodation based on where my boyfriend and I want to visit? From Zagreb, it doesn’t seem to warrant a day trip to Dubrovnik..
Hi Frank, I have booked several apartments in different places using Booking.com. I see that these require cash payment. We’d prefer not be carrying around piles of Euros. Do you know if Croatia is set up to do an e-transfer from a Canadian bank account or is there some other way to make payment without having to withdraw a pile of cash? Great tips on accommodation. 🙂 Do you know of any wineries with accommodation on the premises for around £35-£45 for a double room per night, ideally around Split area but perhaps also the Peljesac peninsula? Great informative post. Book marking this in case I ever get to Croatia. I’ve hear so many good things about Dubrovnik.